In an earlier, simpler time, Facebook had a quaint little privacy option that let users opt out of being found in searches. It allowed the rare hermit types who embraced social media to have a profile on the site that could not be found by strangers, or even in some cases, contacts and friends. Like an invisibility cloak, it allowed them to be on the site but only to open the cloak — and friend people — when they chose. It was a popular option among privacy-loving types and celebs. Facebook took away that Harry Potter-like option from its privacy settings last year. But anyone who had donned the invisibility cloak previously — such as Selena Larson at ReadWrite — got to hold onto it… until now. Facebook says it’s yanking away the cloak from the remaining privacy hold-outs. A Facebook spokesperson says that “a small percentage of people – in the single digits” were still using the feature. Of course, when you have a billion users, single digit percentages translate to tens of millions of people. Those were tens of millions of people who weren’t showing up when you were trying to find them in searches. Well, no hiding any more. The only option now for hiding out on Facebook is to block the people you want to hide from. 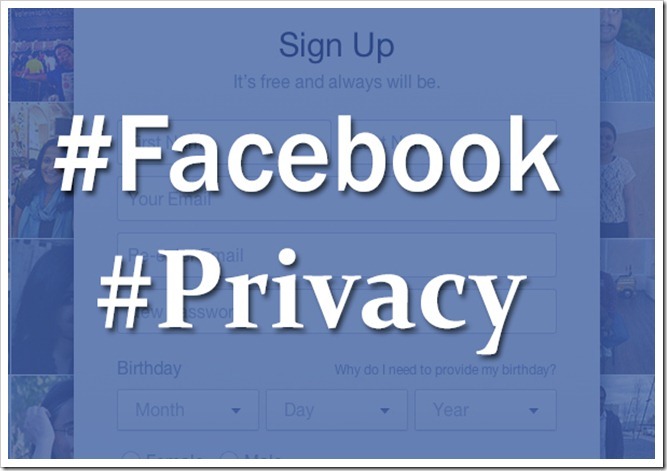 If you are one of the millions, make sure your privacy settings are on lock-down. The best way to test that they are is to use Facebook’s “View As” feature to see what a stranger can see when they look at your profile. Is Patience Something That Entrepreneurs Need To Learn?